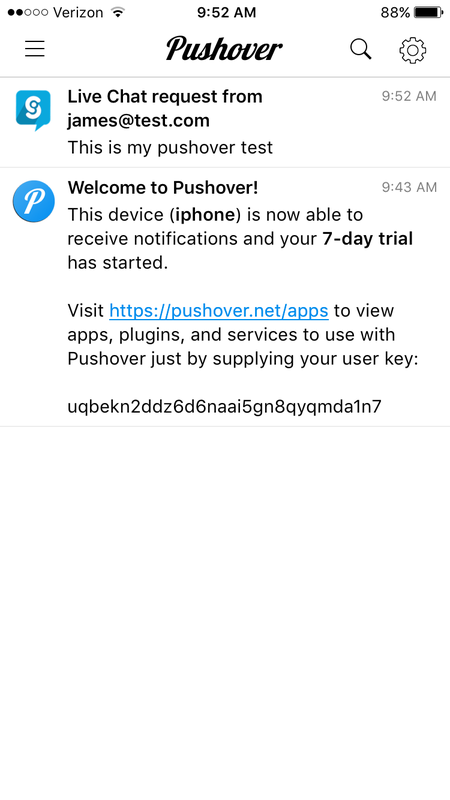 We support receiving mobile and desktop push notifications using the Pushover.net service. 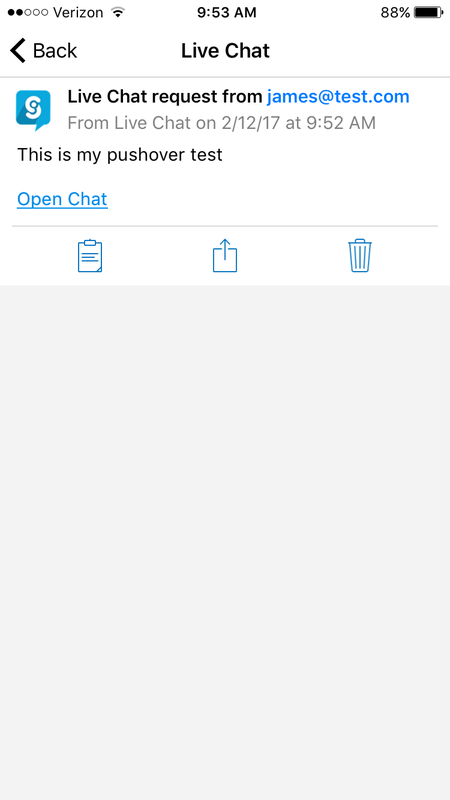 This is great if you want to receive real-time notifications of live chat requests on your mobile phone or if you want an always on desktop application so you never miss a live chat. We'll quickly walk you through the setup. 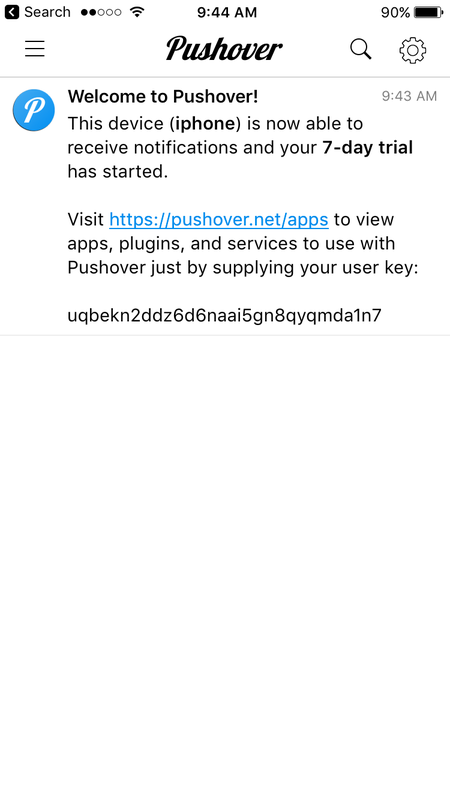 First download the pushover.net application and sign up for a new account. Once you sign up, you'll see a welcome message in the app with your API Key you'll save in our integration settings page. Copy this API key or forward it to your email address so you can easily copy and paste it later. Next, sign into Social Intents and click on the agent settings who you want to set up for push notifications. Select the agent and scroll down to the notifications section. 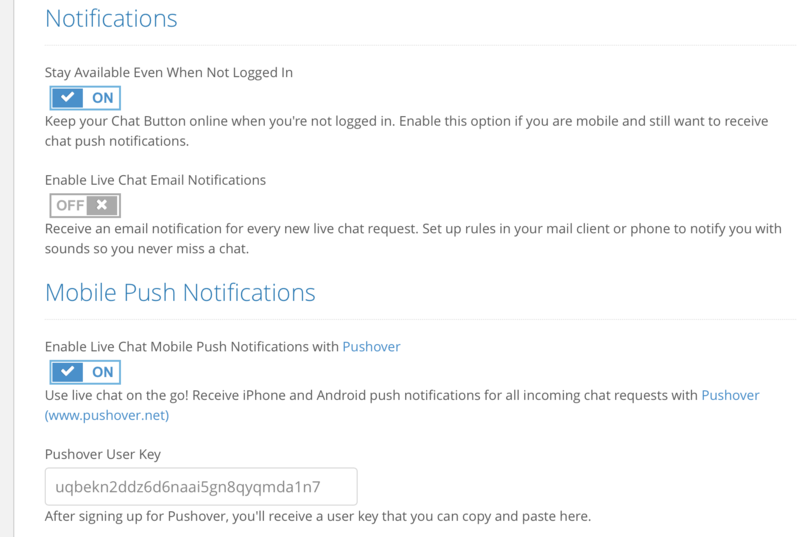 Now toggle the "Enable Live Chat Mobile Push Notifications with Pushover" to on. You'll now see a Pushover User Key setting. Copy and paste the user key from Pushover Net that you previously saved into this field and click save. That's it! You'll now receive real-time push notifications on your phone. * Helpful hint - We suggest you toggle the "Stay Available even when not logged in" to Enabled so you'll continue to always receive the notifications on your phone even if you haven't logged in. 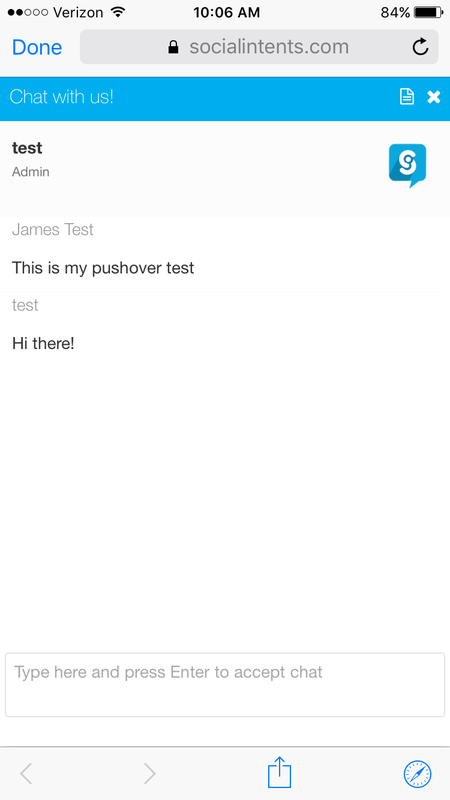 Finally Test your Notifications with a test live chat. Click on your Apps, the select Preview on your Live Chat. You should see a notification now in the Pushover app. Click on the notification to bring up the specific chat. 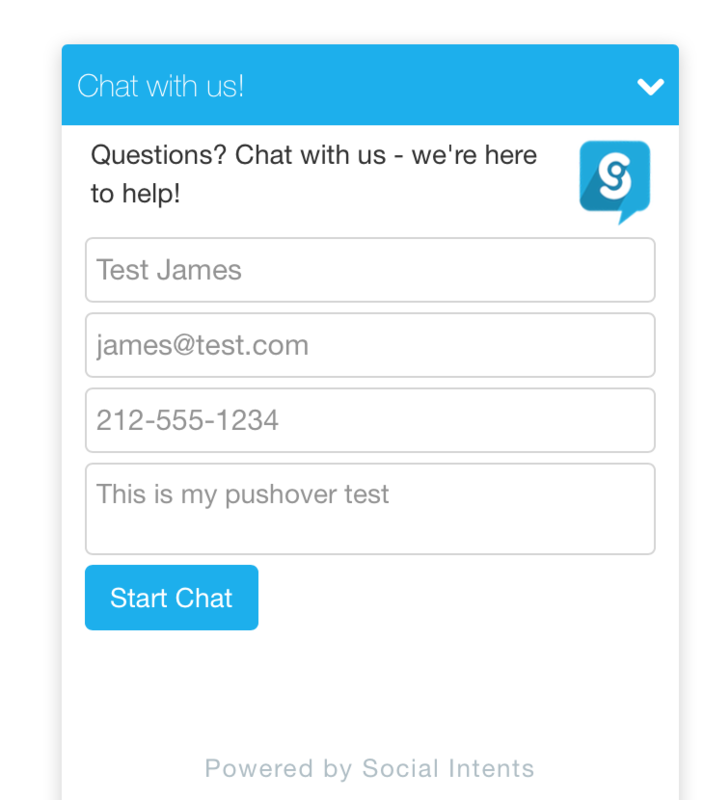 Now simply click Open Chat to open a web optimized mobile chat.